TSB (T):You’re a celebrity in your home country. Compare this to the situation abroad where people familiar with your works don’t know much, if anything, about you as person. T: Tell us about your childhood. K: My birthplace in the Wakayama prefecture around Mt. Kouya is now a World Heritage Site! I spent my early days deep in the mountains before enrolling in elementary school. When I say deep, I mean deep. There were no shops, no candy stores, no restaurants. I didn’t know that money existed! There wasn’t even so much as a barber shop—my father cut my hair with an electric trimmer. T: How was it growing up surrounded by nature? K: Everyday was a beautiful panorama of green. But without any shops, I couldn’t pass the time like most children did. When I was seven months old, my mother got it into her head that I had latent drawing ability. She put a pencil in my hand and showed me how to draw a circle. Lo and behold, I was pretty good at it! Not that I remember any of this, but my mother soon had me doodling flowers and things, pushing me down the path of illustration. 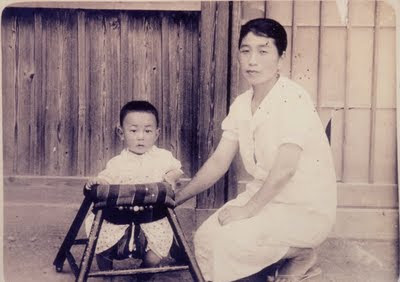 Baby Kazz and his mother. T: You started with landscapes and scenery. K: Especially mountainscapes! She had me read technical manuals to learn how to draw properly, then put me to work practicing. I can’t remember a time when my pencil wasn’t running across the page. Drawing was the only way to keep myself occupied in the mountains. Whenever my family moved, which was often, my mother would send me out onto the porch to draw. Much to my surprise, the children from the village would gather around, and I’d make friends that way. I was always moving and drawing, moving and drawing. T: Your entertainment options were limited. K: Instead of watching television in the evening, my father would turn off the lights and tell me scary folk tales. I hung onto every word, laying in bed shaking with fear. I couldn’t get enough! My early manga about snake women came from my father’s ghastly tales. 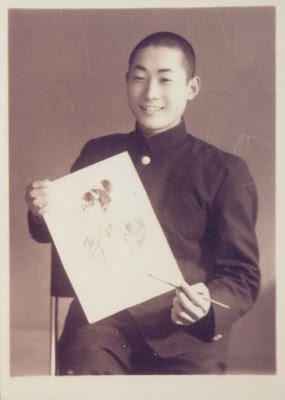 Showing off his illustrations in high school. T: Horror took root in you at a very young age. K: When I decided to become a professional manga artist, I focused on horror because there wasn’t any out there. Armed with a framework, the next step was fleshing it out. What is horror, anyway? I didn’t know the answer myself, so I stuck to what I knew personally found to be the most horrifying—the creepy folklore my father tormented me with! T: The prototype for urban legends. K: They were mountain legends to us. 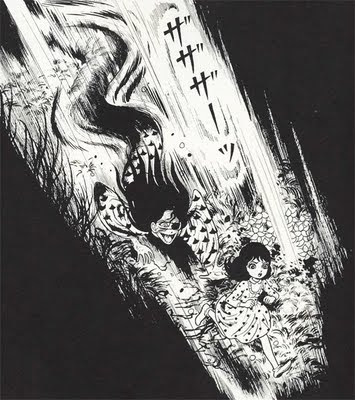 Aside from the Snake Woman stories, there’s also The One-Legged Monster of Oudai from Cat Eyed Boy. Many of my stories slithered down from the mountains. T: The physical darkness of the mountains permeates your work as well. Your excessive use of black ink is unique. K: That darkness is a part of me. Living in a world without streetlights allows you to understand the true meaning of utter darkness. White indicates a lack of matter, while black shows an abundance. It makes you think that something is lurking just beyond, hidden in the blackness. We all know that there aren't any monsters or snake women lurking in the shadows. But the darkness creates the possibility that they might be! Demerin: When you flip through weekly anthologies, you can tell which story is Sensei’s because the page is drowning in black. This interview can only get better. 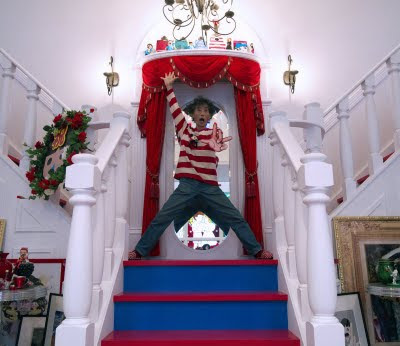 It is Kazuo freakin' Umezu! Kazuo is so great. Love everything about him. thank you so much for this interview! Fantastic interview so far :).